Song of the day: Supralunar – "People Like Us"
And now for a bit more oomph. I received an email by a chap called Petri (Hi, Petri! ), who’s in a Swedish band called Supralunar. Petri wanted me to have a listen to their most recent song. 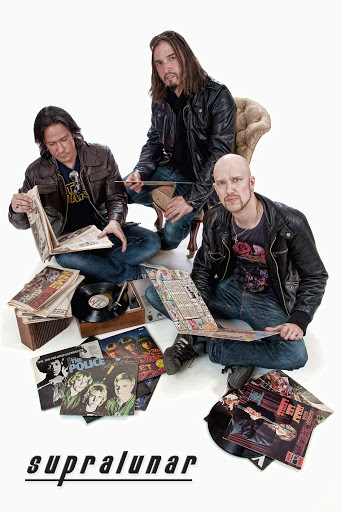 A hard rock/powerpop trio from Stockholm, Sweden. I don’t like to judge. It’s so… judgemental. Splendid. I’m keen to hear it. It’s good to know you’re available in a variety of places. After hearing the song, and liking it a fair bit, I must admit that I’d like to spread the word beyond Australia. Thanks, Petri, for letting me know about “People Like Us”. You are currently browsing the archives for the Supralunar category.